What is Microsoft Azure Platform? 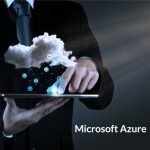 Microsoft® defines Azure Platform as, “a trusted cloud that is designed for you.” Introduced initially as Windows® Azure, the platform is the tech giant’s public cloud computing platform. Microsoft Azure allows a wide range of cloud services for computing, analyzing, networking, and storing. You can make use of a mix of these tools to develop, run, or scale new or old applications on the platform. The Microsoft Azure platform has grown rapidly in the last few years. Due to its many benefits, about 57% of Fortune 500 companies are now on the Microsoft Azure platform. Scalability can be a significant issue when it comes to cloud computing. Due to its great features and size, there are no scalability challenges with Microsoft Azure. The Microsoft Azure global platform is suitable for everyone. For example, let’s assume you run SQL reports every day, for 30 days. The first 28 days require very little power, but due to more load the last two days, you require more power. With Microsoft Azure, this is not a problem as the platform allows you to increase or decrease computing power with just one click. This feature makes the platform suitable for all sizes of business, and allows businesses to pay only for what they use. IT budgets can quickly get out of hand. Microsoft Azure offers a pay-as-you-go solution that allows businesses to easily manage budgets, also making Microsoft Azure very affordable. Microsoft Azure also helps save money by reducing hardware and maintenance costs. With growing instances of cyber-crime, security is a major concern for most businesses. Microsoft Azure offers foolproof security with a trusted security model: Detect>Assess>Diagnose>Stabilize>Close. The Microsoft Azure platform has also won several compliance certifications, making it a leader in the IaaS security field. Parallels® Remote Application Server (RAS) is deployed on Microsoft Azure, and provides you with a fast, reliable, and secure way to access Windows applications and server-based desktops. The global reach of Microsoft Azure allows users to access desktops and apps from anywhere, on any device. The features of Microsoft Azure, coupled with the advanced security capabilities of Parallels RAS, makes a stunning combination. Start a 30-day evaluation of Parallels RAS today to see how we can help your business meet its goals.